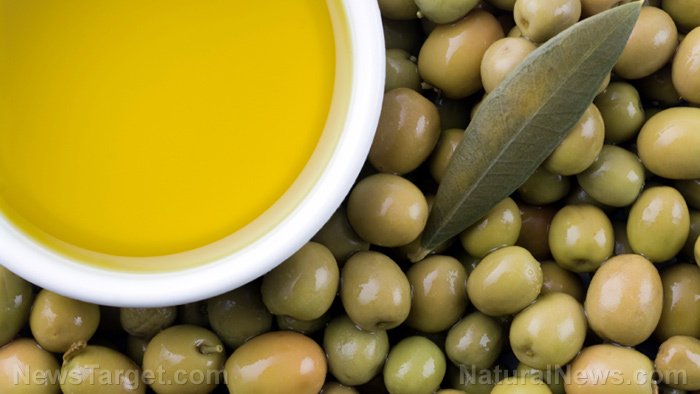 (Natural News) According to new research, consumption of extra-virgin olive oil may reduce the likelihood of developing Alzheimer’s disease (AD). The researchers behind the study, which was published in Annals of Clinical and Transitional Neurology, singled out this key component of the Mediterranean diet as an effective preventative measure against the neurological disease. Led by Dr. Domenico Praticò, the team of researchers carried out their study by utilizing a transgenic mouse model. The mice had been genetically modified to possess the three main characteristics of the disease, namely neurofibrillary tangles, amyloid plaque formation, and memory impairment. Additionally, the team made sure to use mice who were six months old as the symptoms of Alzheimer’s disease had yet to manifest in these mice. Researchers then split the mice into two groups: one that was fed a standard chow diet, and another group that was fed a chow diet with extra-virgin olive oil from the Apulia region of Italy. After three months then six months of treatment, the two groups underwent tests that measured their learning abilities, working memories, and spatial memories. The group that had been fed extra-virgin olive oil did better on all the tests. When the researchers studied the brain cells of the mice from the olive oil group, they found healthier brain cells with reduced levels of amyloid plaque formations and neurofibrillary tangles, as well as better synapse integrity. Amyloid plaques are the buildup of toxic proteins in the spaces between neurons. Neurofibrillary tangles, on the other hand, are abnormal masses of twisted protein — tau, to be precise — fibers within nerve cells. Both amyloid plaque formation and neurofibrillary tangles are believed to contribute to Alzheimer’s disease. The researchers believe that the promising results can be attributed to extra-virgin olive oil inducing autophagy, which is the natural process of cell destruction. Apart from destroying cells, autophagy also eliminates any toxic debris that accumulated between cells. The subsequent boost in autophagy lead to the disintegration and removal of amyloids and phosphorylated tau, reported MedicalNewsToday.com. As part of their continuing research, Praticò and his colleagues intend on introducing olive oil to mice who’ve already begun displaying symptoms of Alzheimer’s disease. Alzheimer’s disease is a chronic neurodegenerative disorder caused by brain cell death. Since Alzheimer’s disease is chronic, it only worsens over time. Symptoms associated with the disease include: impairments to reasoning and judgment, worsened ability to take in and retain new information, and changes in behavior and personality. An estimated 5.3 million Americans from all age groups are afflicted with Alzheimer’s disease, making it the most common type of dementia, or loss of mental ability. Age, family history, and genetics are all unavoidable risk factors of Alzheimer’s disease; potentially avoidable risk factors for the disease include but aren’t limited to prior head injury, sleep disorders, and factors that increase vascular risk, such as diabetes and high blood pressure. Visit HealingArts.news for similar stories.